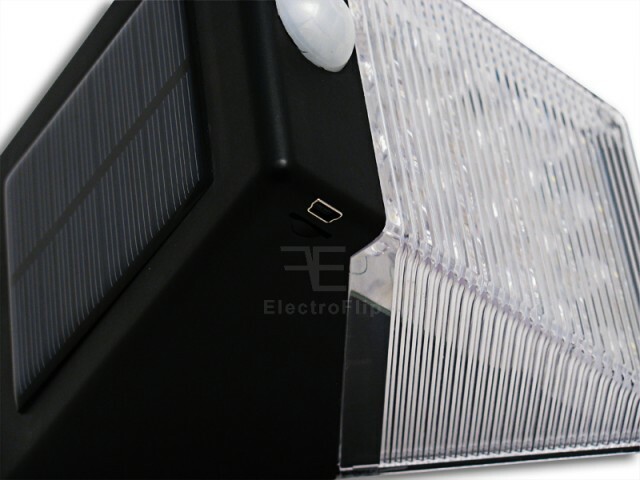 Powered by 16 LED lights, the SolarSight is activated by motion, taking video of the surrounding area. 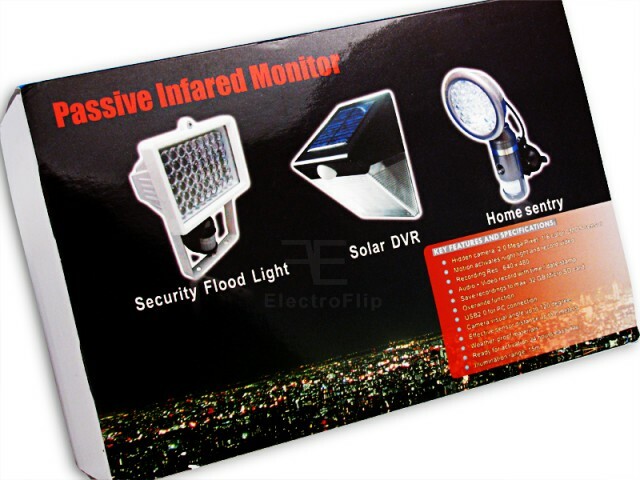 The SolarSight is one of the most affordable security cameras. 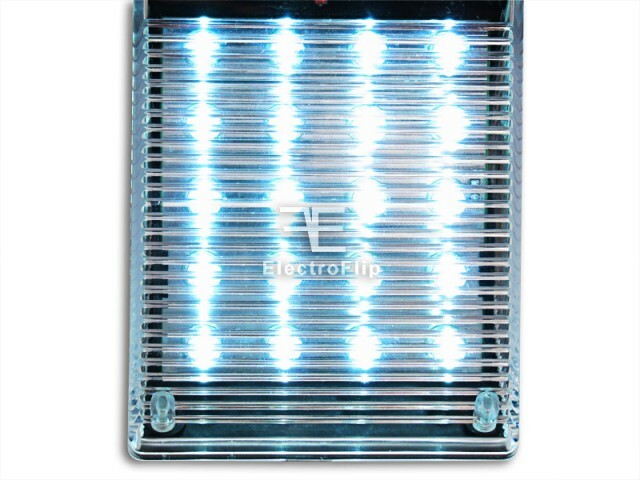 Powered by 16 LED lights, the SolarSight is activated by motion, taking images or video of the surrounding area. 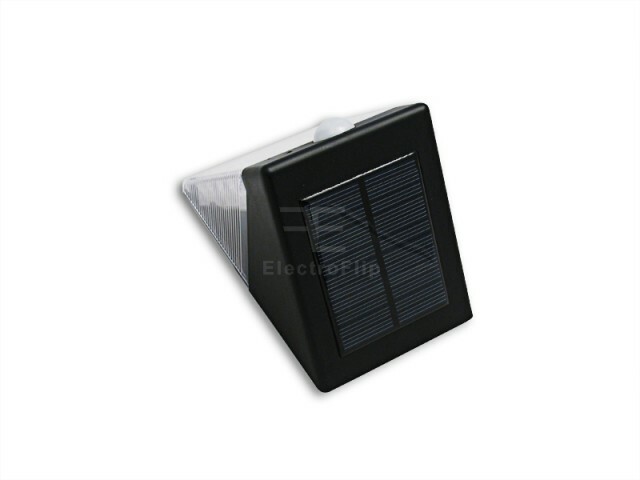 Easily mounted near garages, patios, and front doors, the SolarSight comes with a power adapter and easily recharges. Save money and consume less energy with SolarSight while getting the security you need for your home or office. 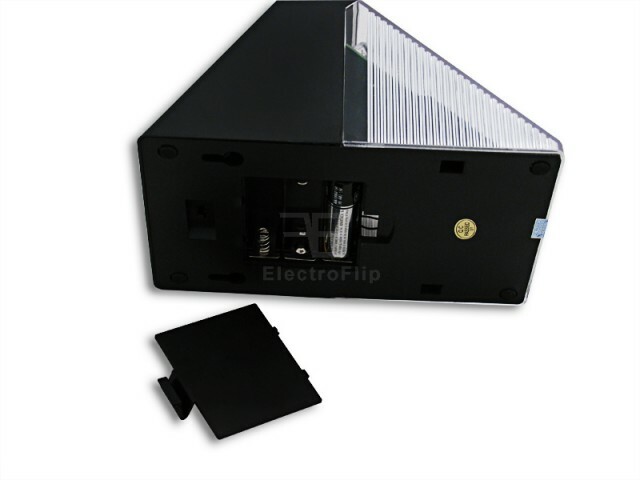 Solar Powered Motion Activated Video Camera: ElectroFlip offers one of the best solar powered motion activated video cameras on the market. 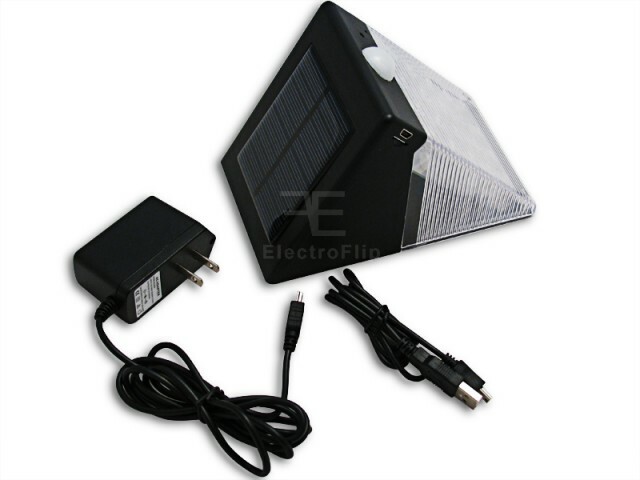 The solar powered LED lighting keeps batteries charging while consuming the least amount of power. 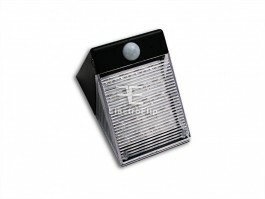 Lights up on Motion Detection: The SolarSight records and lights up on detecting motion. Sharp and Clear Video: The 2.0 Megapixel camera takes high quality 640x480 resolution video footage. SolarSight automatically adjusts for white balance and exposure, ensuring that you receive excellent videos. Record on Loop: Unit supports automatic overwrite when memory card is full. 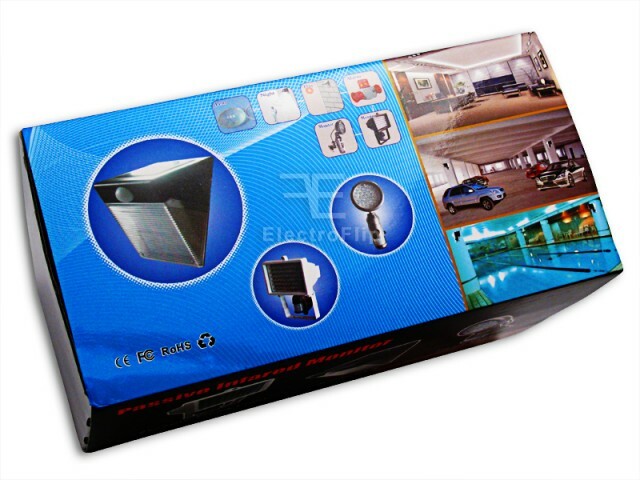 Easy Mounting: Easily affix the camera near a garage, front door, or patio. 24 Hour Standby: SolarSight offers convenient 24-hour standby coverage. Flash Memory Capacity: Supports up to a 32GB memory card.